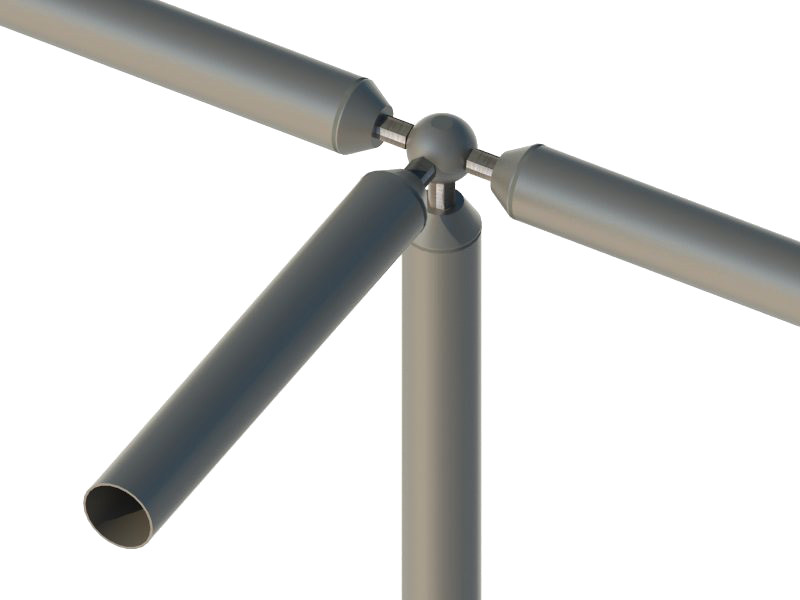 Steel space frames have some interesting characteristics, including an extreme geometry adaptability – even to complex shapes – and a very low weight in relation to lights. Such characteristics could be improved thanks to the possibility of optimizing each individual rod sizing. The weight saving implies their natural predisposition to be used in earthquake zones thanks to the lower inertial forces induced by the earthquake. Tetrasteel space frames are supported by Tetrasolver software for structural analysis, section verification, rods and nodes optimization, drafting of CAD/CAM files, and on-site assembly drawings. A space frame is made up of spherical nodes to which the individual rods of upper and lower members and the diagonal rods are fixed with a screw. Thus, the structure appears as a sequence of square-based tetrahedrons after mounting. More specifically, nodes are made by forged steel spheres and suitable for connecting the various rods. Nodes will be drilled and threaded depending on bolt diameters. The surface in contact with the rod end will be mechanically leveled. Diameter of spheres will be sized depending on structural and dimension requirements in relation to loads and structure geometry. 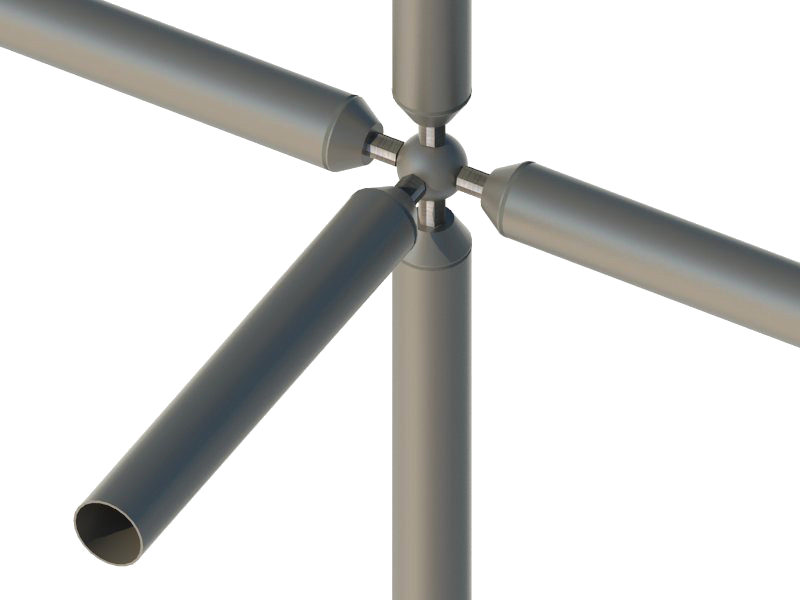 Rods will be made by steel tubes for structural uses, and hot-forged cones will be welded to the tube ends. Rods are made by S235/ S355 steel tubes of circular section; standard diameters range from a minimum size of 48mm (1.89in)to a maximum size of 324mm (12.76in), with variable thicknesses based on the structural element specific need. Spherical nodes are made of hot-molded C45 steel; standard nodes have a diameter ranging between 70mm (2.76in) and 418mm (16.46in). 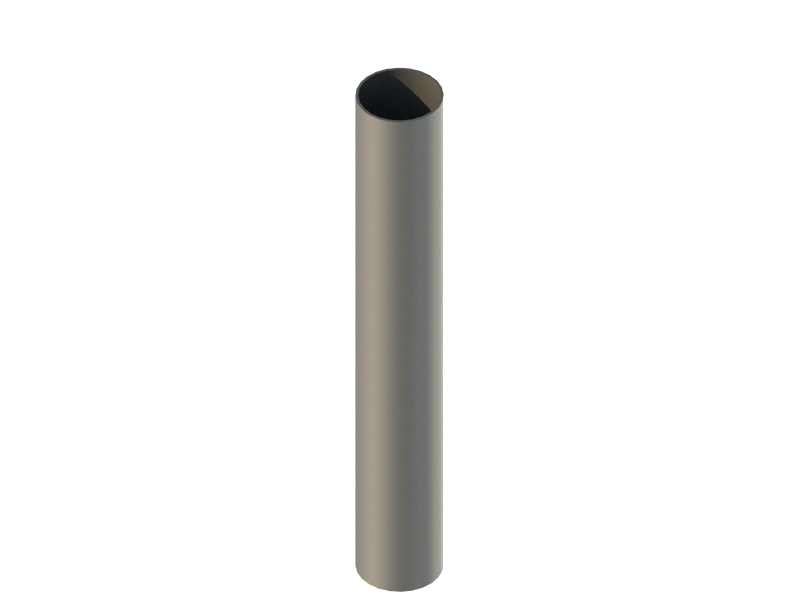 Cones are welded to the tube ends, thus enabling to reduce interferences by fixing to spherical nodes (and use smaller spherical nodes, as well). 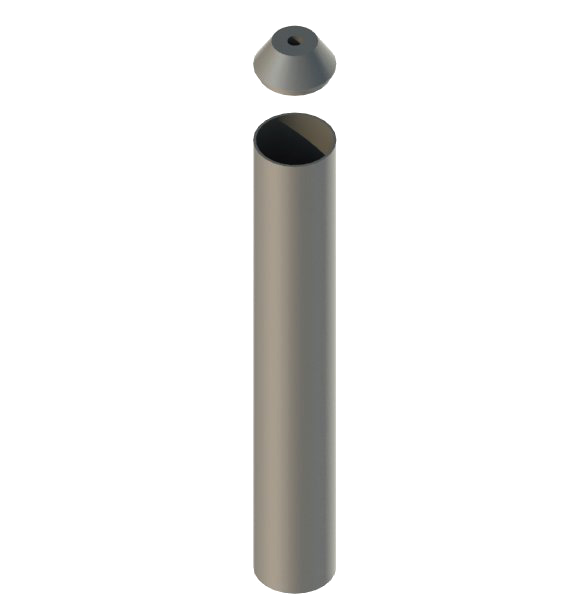 Connection between sphere and rod is ensured by a cheese head screw inside the tube, which fastens in the provided node hole by turning a non-threaded hex nut fixed to the screw with a pin. 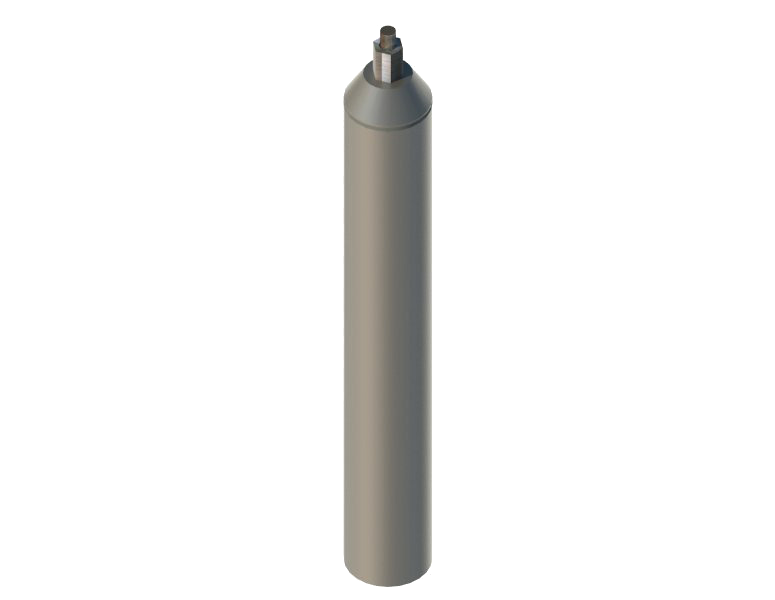 In compressed rods the nut will ensure the stress transfer between rods and spherical nodes. Bolts, screws and hex nuts will be sized depending on structural and dimension requirements, in relation to loads and structure geometry. The tetrasteel® system enables to build – thanks to the possibility of individually sizing each element – very statically efficient and extremely light structures with a great versatility and adaptability to complex geometries. The system is based on a total prefabrication of elements in the workshop and on-site assembly according to an accurate procedure for nodes and rods identification that enables to drastically speed up the on-site work phases.